Here’s a true gent who enjoys the finer things in life (no surprise then that his are the brains behind L’Homme). Andreas picked up his first pair of clippers at 13 years old and has never looked back. By his mid-teens, he’d landed a placement at the local barber then a hairdressing job at award-winning salon, Rush, but it was at the London School of Barbering that Andreas developed advanced cutting techniques, expert scissor and clipper work and the skills to work on every kind of hair type – European, Afro, Asian, Caucasian. Fast forward 15 years, and Andreas is a forever in-demand barber with a wealth of experience. 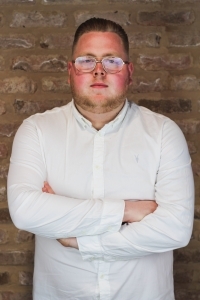 Hugely passionate, highly skilled (but ever humble), he’s styled hair for celebrities, working backstage at the O2 arena and truly believes an exceptional haircut really can change people, giving them newfound confidence. 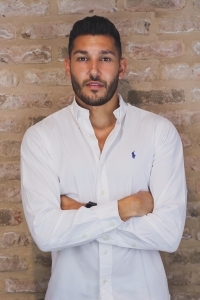 A self-confessed perfectionist, Andreas prides himself on understanding people’s needs and he loves getting to know each and every one of his clients. So when you’re in Andreas’s chair, sit back, relax and know that you’re in for the grooming experience of a lifetime. Creating a seriously classy space for the modern day gentlemen to indulge in some seriously good grooming – topped off with his tipple of choice. An ex-professional dancer, Eleni knows a thing or two about performing under pressure. Always ready with a winning smile, she’s a champion of world-class customer service and believes it is key to any successful business. Call up L’Homme and more than likely, it will be Eleni’s effervescent voice greeting you on the end of the phone. She takes appointments, looks after customers and is a bit of a workaholic (and after all that hard work, her favourite way to unwind is tuning into the latest TV series with an Elderflower and vodka soda). Will’s one of the best-known barbers in his local community – probably because he’s always cutting hair. The man doesn’t stop.  He often goes from a full day at L’Homme to his home barbershop where he cuts yet more hair. What a grafter. 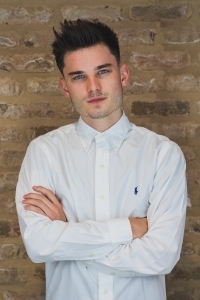 Will started as an apprentice at another barbershop before getting his NVQ Level 3 from the London School of Barbering and then he joined the team at L’Homme. In his rare free time, Will enjoys reading, making money, listening to 90’s American hip hop and sipping Hennessy (not all at the same time – though that would be impressive). Coming to us from South Africa where he’s lived on and off, Kit’s been a barber for seven years. Don’t judge his skills by his own hair though – the man hasn’t had a cut in 3 years. He’s too busy in his spare time either playing football or watching it (Leicester City all the way), which seems to go well with his second-favourite past-time: beers with the boys. 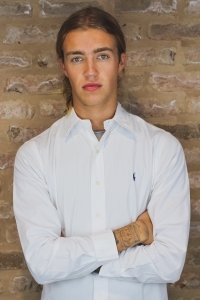 It’s not all play though – Kit also models part-time for brands like ASOS (if you can call that work). Settle into this sociable gent’s chair and we guarantee a cut worthy of your best “blue steel” impression. Another Leicester City fan (with a tattoo to prove it), Craig has his Level 2 in hairdressing and barbering and is quickly proving himself to be a real talent. He abandoned the world of electrics (installing fire alarms) to follow his passion for barbering and we’re happy to show him the ropes in true L’Homme fashion. Speaking of fashion, Craig’s a big fan. He spends a lot of time perfecting his look. When he’s not style-hunting, Craig’s out with friends, going to gigs, playing golf or darts.